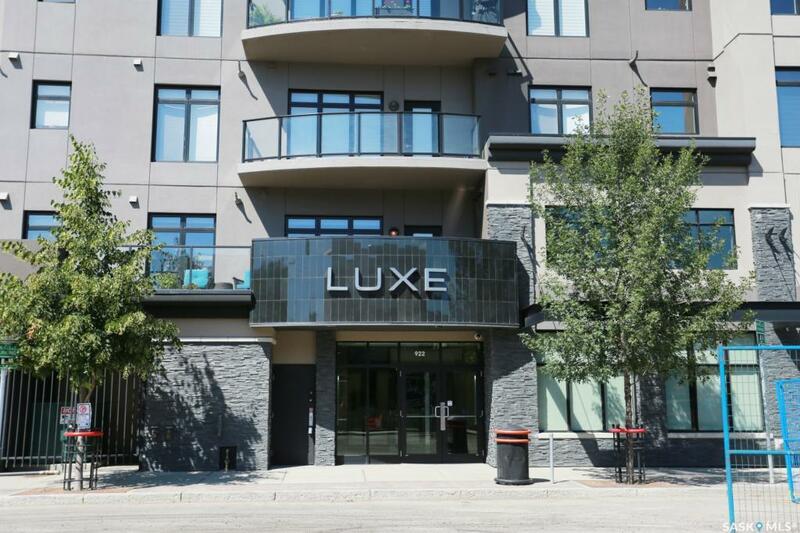 Live on one of the best streets in the province in this luxury executive condo in The Luxe by Meridian on Broadway Ave. Expect nothing but pure excellence. This condo has it all; 2 parking spots, elevator, central air conditioning, and its own exclusive terrace overlooking Broadway Ave. The 1575 sq ft terrace has 2 nat gas lines for bbq and firepit. Professionally designed sound system inside and out including 2 tv's, apple tv, Ipod dock and more. A kitchen offering quartz counters, glass tile backsplash and a large eat at island. The living space is open, has an electric fireplace and is bright with large windows bringing in lots of natural light. The master bedroom has access to the terrace, a beautiful 5 piece ensuite with his and hers walk in closets. A large second bedroom offers an additional workspace as it hosts a murphy bed that can easily tuck away when not being utilized. 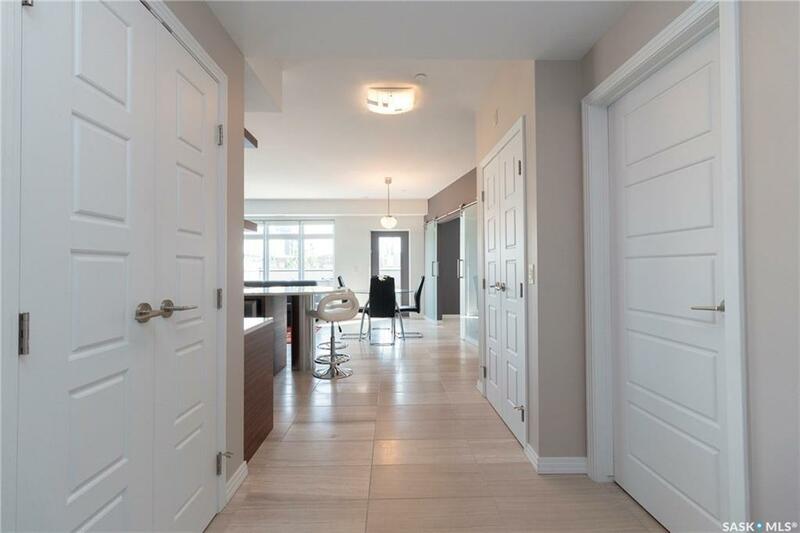 Tile and carpet flooring throughout the home as well as quartz counters in both bathrooms. 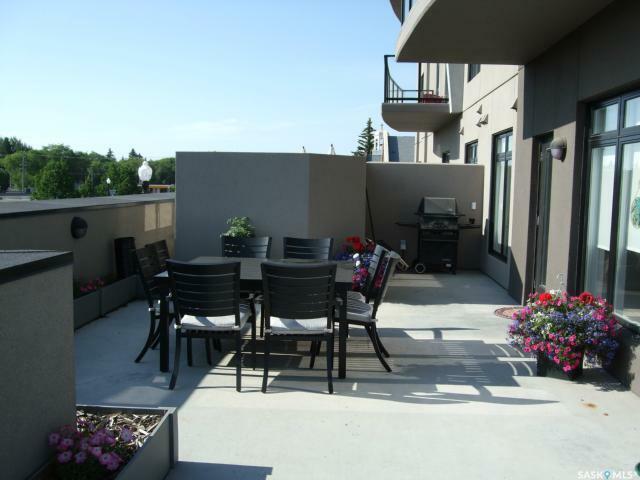 Broadway has all amenities within walking distance and is where you can find Saskatoon's Fringe festival, Broadway Street Fair and some of Saskatoon's finest pubs and restaurants.